Feel the evolution! Take a seat and drive as fast as possible in the Playseat® Evolution WTCC! Playseat® chairs are used by professional drivers like Tim and Tom Coronel, hence this Tom Coronel edition of the Playseat® Evolution! The Evolution seat has a black frame and is upholstered with high quality blue Alcantara, the material the use in real racing cars! The Playseat® Evolution WTCC can be used by adults and children, so all your friends and family members can enjoy this chair. This seat is very comfortable, stable and highly adjustable. Thanks to its unique foldable design, it uses little space when not in use. High quality blue Alcantara, which is used in real racing cars! 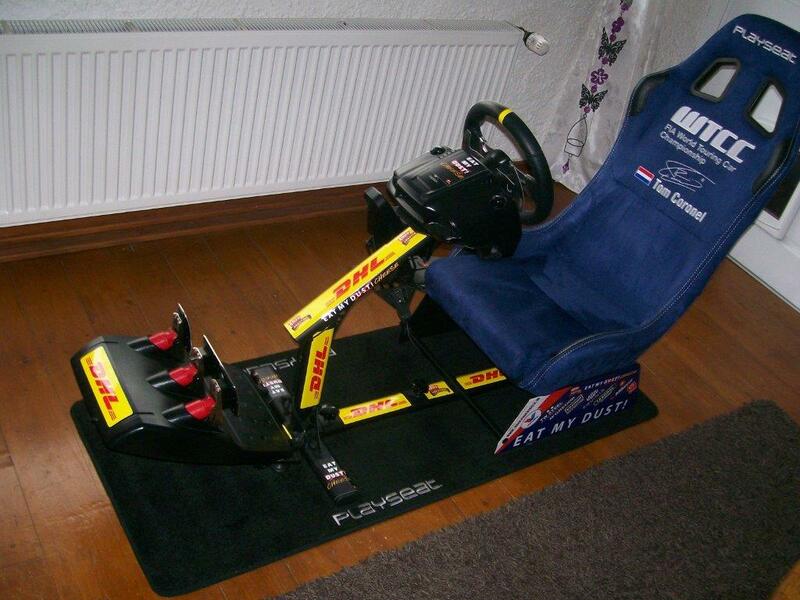 When I saw this Tom Coronel-seat I threw all hesitations overboard and went for it !! It's superb in all it's ways; the seat is fully adjustable in length, any wheel is adjustable in heigth and length, even the pedal-floor is adjustable in many different angles. Because it is solid as a rock, I even became ''faster'' !! I gave it a visual 2015-update with Tom Coronel's newest sponsorships...see picture !! I´m so happy with my seat it´s so great perfect !!! I love it !! I'm a die hard race fan, so I remember Tom and Tim. Now I have a son who is into racing to so I bought this chair for him. He really likes the color of the chair and is playing for hours straight. When I have time I play some too ofcourse. 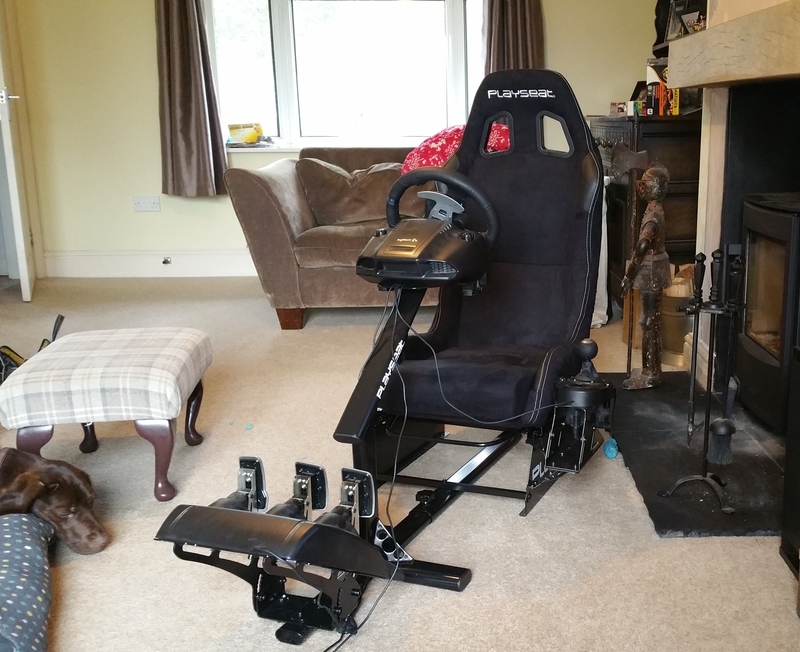 With the rally look and the bucket seat feel, this chair is an excellent way to play racing games at home. The experience is a lot more realistic. With a big tv screen and surround sound I sometimes forget I’m still in my house instead of racing on a race track.